Roger, I appreciate the care you have taken to explain the various interpretations of special relativity. And my thanks to you and to arXiv for Logunov. We agree then that space is immutable, at least in the context of special relativity (SR). As you put it, space is a manifold to which different observers will apply different coordinates according to their perceptions. I argued from this immutability that the changes described by the Lorentz transformation (LT) must be due to changes occurring in the observer as he or she changes inertial frame. An alternative view, which you take to be that in Einstein's special relativity (ESR) (and in its geometrical expression as Minkowski spacetime (MST) ) is that the transformation described by the LT is not an actual change in matter, merely a change of coordinates. But it seems to me that if the transformation is neither of space nor of what occupies space, the change of coordinates is neither active nor passive in the usual sense and must be something else. But what? I cannot get my mind around how this four-dimensional spacetime would work. This space is not curved in the sense of gravitational spacetime. It is flat. What then is the underlying mechanism that causes the changes in perceptions of space, time and simultaneity that are described by the change in coordinates. It is not enough to say that this is subtle. It is simply not explained at all by ESR or MST. We do know that when one of two observers takes off from the other at some relativistic speed v (let me call him Buzz again) the other (Mary) not only observes changes of space, time and simultaneity in Buzz, but also observes that light is reaching Buzz from behind at the relative velocity c+v and from ahead at the reduced relative velocity c-v. Moreover, Buzz is now considered by Mary to have a de Broglie wave passing through him at superluminal velocity and knows that the loss of phase defined by this de Broglie wave is exactly commensurate with the failure of simultaneity suffered by Buzz in the direction of travel. That Buzz suffers these changes, but believes that they have been suffered instead by Mary (and by everything else in the Universe) is a consequence of the LT, and these effects are predicted by all three relativities (ESR, MST and Lorentzian relativity (LR) ). 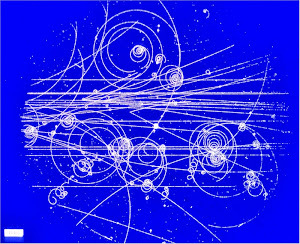 But in ESR (and MST) the de Broglie wave is of unknown ontology, and its mysteriously superluminal velocity must be rationalized by contriving a wave packet of de Broglie waves from which the particle velocity emerges as a group velocity. In LR, neither the de Broglie wave nor the other changes described by the LT are mysterious. 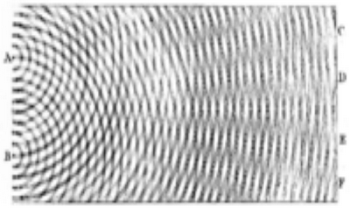 The waves that Mary perceives to be counter-propagating through Buzz at the velocities c+v and c-v, are waves that to Buzz are moving at the same velocity c. He cannot see any difference in these velocities because he is himself constituted by electromagnetic influences developing through him at those same velocities. And what he might perceive to be a standing wave is to Mary a travelling wave subject to a modulation of phase or beating that is exactly commensurate with the loss of simultaneity experienced by Buzz, and that he can know he has experienced! This modulation is the de Broglie wave, which in LR is no longer of unknown ontology, but of the same nature as matter itself and an immediate consequence of the LT. It is the ability of LR to explain the de Broglie wave that constitutes one of the main explanatory advantages of that approach. Dan, I agree with you that Lorentzian relativity gives a legitimate physical explanation for the LT. I am not sure that Einstein even disagreed. He express his opinion many times on how his relativity was superior to Lorentz's, in papers and interviews, and I cannot find where he ever attacked the Lorentz view that you describe. Instead, Einstein always claimed to have a superior view of the aether. I do not even think that Einstein's view of the aether was much different, if you consider what Lorentz meant by the aether . That is why I consider Lorentz and Einstein special relativity essentially the same thing, and that is how everyone else viewed in the period 1905-1910. Einstein did also complain that Lorentz's theory was "ad hoc", but that really just applies to Lorentz's original idea (like FitzGerald's) and his 1992 paper. After that, Lorentz is no more ad hoc than Einstein. The argument is also made that Lorentz's LT are "coincidental", because they just magically make Michelson-Morley work. But again, the same could be said of Einstein's LT, because they just magically make his postulates work, and his postulates are essentially the same as Michelson-Morley. Historically, the 4D non-Euclidean geometry was seen to solve all these problems, and clarifying confusion over the aether, LT, adhocness, and coincidences. You say that it does not really give a satisfactory explanation at the level of molecular forces. I cannot really dispute that, and I think that the relativity textbooks should give the Lorentz explanation as an alternative view.